Product prices and availability are accurate as of 2019-04-18 21:31:55 UTC and are subject to change. Any price and availability information displayed on http://www.amazon.com/ at the time of purchase will apply to the purchase of this product. 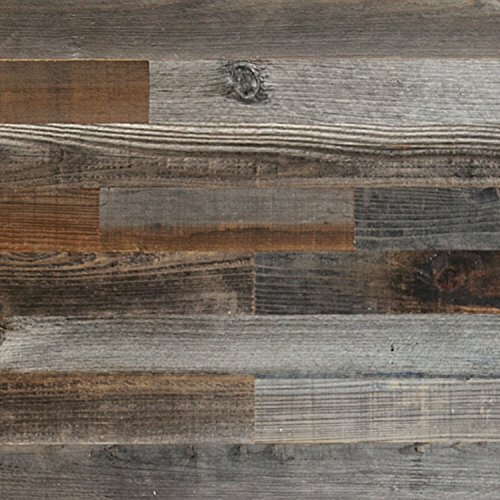 Beautiful reclaimed weathered barn wood panels can now be easily assembled in your home in a matter of minutes. The wall decals are easy to use and you can stik the wood straight onto your existing wall. 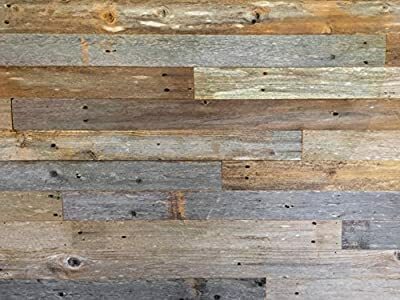 This rustic wood wall accent will transform your space and complete your vision whether that be for your office, baby's nursery, living area, kitchen island or many others. 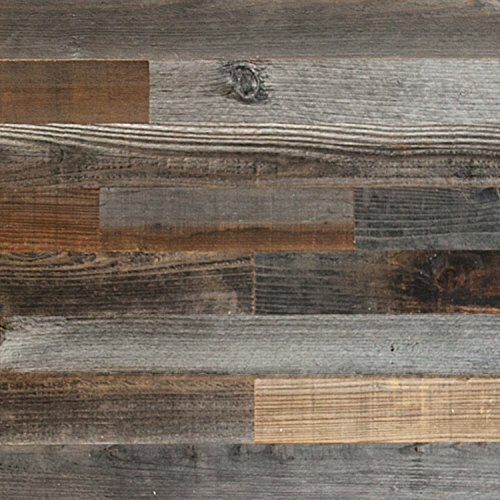 Any holes that may occur in the natural reclaimed wood are covered from the back so you will not see any wall through them. Once placed on your surface apply pressure to ensure good contact, instructions are included in/on the package. Before installation please read and follow the complete installation instructions. 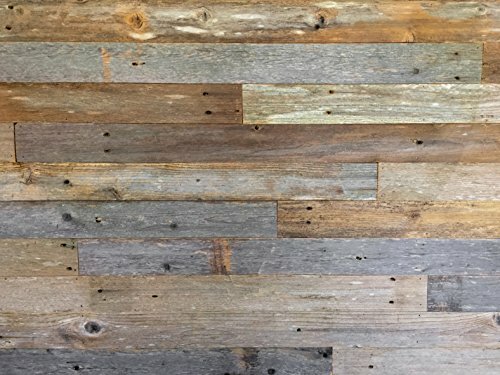 100% Reclaimed Barn wood with back adhesive strips (Peel and Stick Installation) Piece lengths range from 1 ft - 4ft, all 3" Wide and 0.15" Thick Quality: We use only the best reclaimed barn wood and quality adhesive to bring you a beautiful interior accent wall in your home or office. We're proud to create and build every piece by hand in our shop in Tulsa, OK. How much do you need: Square footage is calculated by length times width. For example 2' x 5' = 10 square feet. Customer service: We still buy into the old school notion that customer service is essential. That's why we package every product with care and have a real live person you can talk to if you have questions.